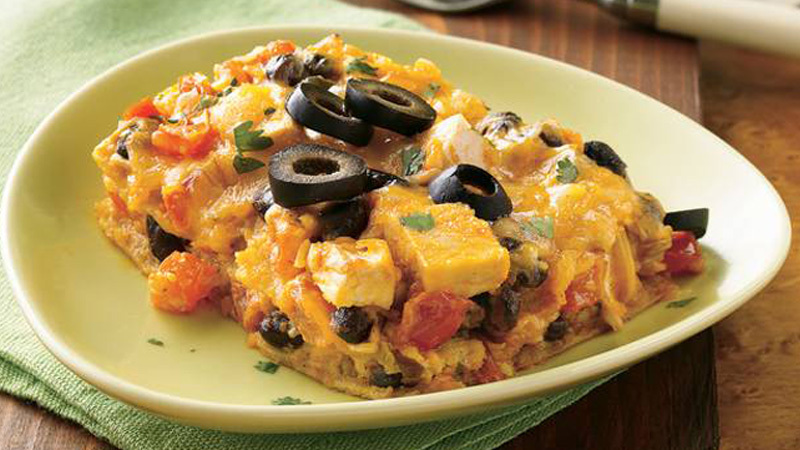 Creamy chicken and veggie lasagne is perfect for a crowd. 1. Preheat the oven to 190ºC (170ºC for fan assisted ovens), gas mark 5. Grease a large 2 litre glass baking dish (about 34 x 24cm) with oil. Spoon 2 tablespoons of the enchilada sauce into the bottom of the dish. 2. Mix the tomatoes, chicken, onions and beans in a medium bowl, until combined. 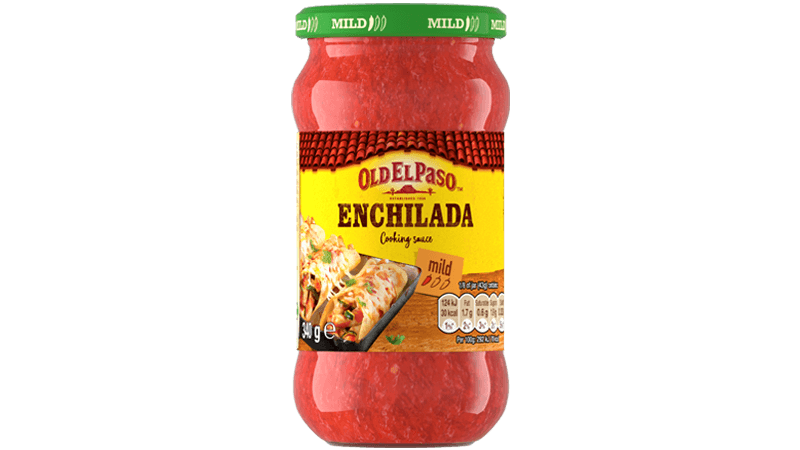 Mix the remaining enchilada sauce and soured cream dip in another medium bowl, until combined. 3. 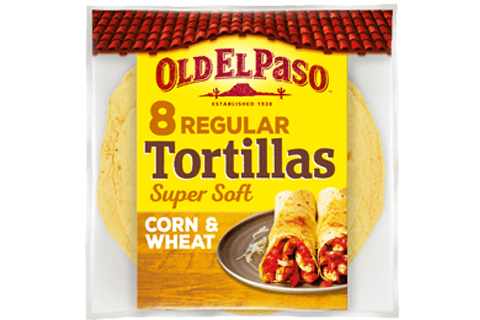 Arrange half of the tortillas pieces in the bottom of the dish, overlapping as necessary. Spoon half the chicken mixture over the tortillas and scatter over about 1/3 of the cheese. Spoon half of the sauce mixture over the cheese. Repeat the layers once, finishing with the last 1/3 of the cheese. 4. Cover the dish with greased foil then bake for 40-45 minutes or until hot. Remove the foil and bake uncovered for about 5 minutes longer or until the cheese has melted. Let stand 5 minutes before serving. Serve with the coriander. 200g soured cream mixed with 1 tablespoon Old El Paso™ taco seasoning mix can be used in place of the soured cream and chive dip.